Dogs love to explore their surroundings, but sometimes they can get a bit too adventurous. 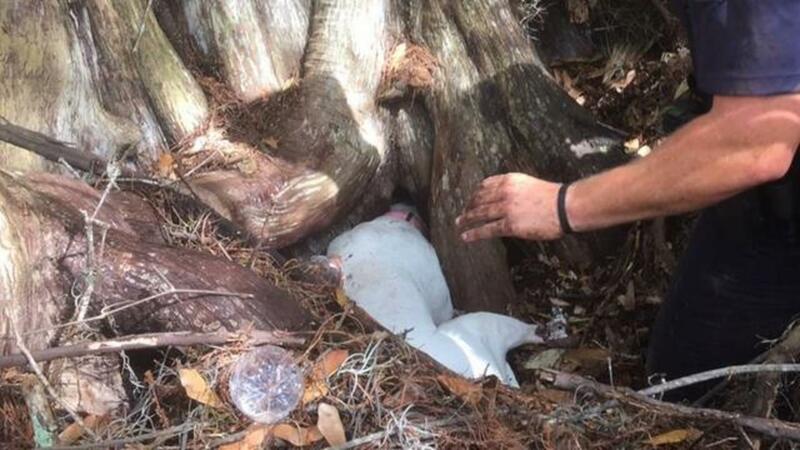 One pup in Port Orange, Florida apparently miscalculated her own size when checking out a hole in the base of a tree and ended up getting her head stuck inside. Luckily, some people were passing by the area, heard her whimpering, and called for help. Officers from Port Orange Police Department and area fire personnel responded, as did a local veterinarian. The doctor sedated the dog, and rescue workers enlisted the help of chainsaws, winches, and the Jaws of Life to extract the canine. Once freed, she was taken to Ravenwood Veterinary Clinic, and the search for her family began. That mission was successful as well, and the dog has since been reunited with her owners.